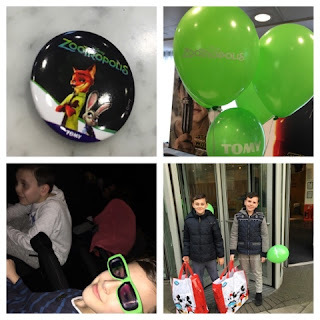 We were delighted to attend the first UK screening of Zootropolis at Disney's Headquarters in London. Judy Hopps is a determined rabbit from Bunnyburrow, Her dreams are finally coming true as she heads for Zootropolis to become the first ever rabbit police officer, Judy soon finds herself on traffic patrol rather than catching the real criminals of Zootropolis. On her quest to be the best she can Judy finds an unlikely friend in sly hustler fox Nick Wilde, Judy is determined to prove her worth and eventually finds an opportunity to embark on her first big case when chief Bogo is forced to give Judy the Otterton case, but all is not what is seems and Judy soon finds herself solving an even bigger case; the case of the 14 missing mammals and the night howlers. 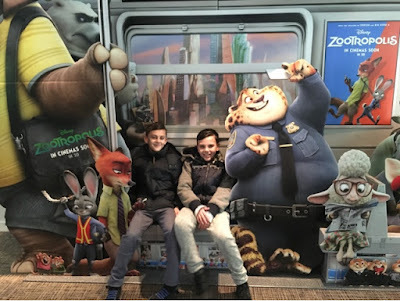 We adored the movie it was a fantastic story, we found ourselves on the edge of our seat waiting for the next installment, we loved the scenes when the sloths appeared, they will certainly have you in stitches, their slowness is incredibly funny. There are lots of lessons to be learned from this movie especially for older children who will follow the aspects of determination, justice, co-existence and fairness no matter who you are. Overall Zootropolis is a fun family movie full of twists and turns and unlikely friendships where anything is possible. Zooprtopolis is rated as Parental Guidance due to some very mild scariness of fierce animals. 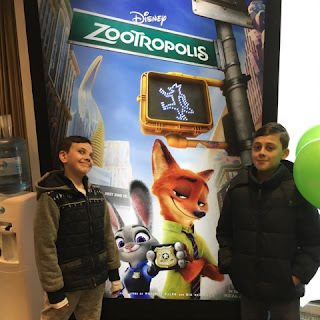 Zootropolis will be loved by the young and adults alike. 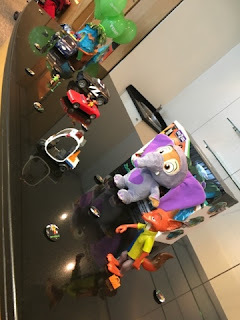 Whist at the Zootropolis we also had the opportunity to play with some official Zootroplous merchandise from Tomy Toys see our thoughts on Judy Police Cruiser and Judy Carrot Recorder and Badge here. Thanks for your spoiler free review! It looks like fun. I enjoyed the sloth trailer too. Do you think the poster's resemblance to the Frozen poster is intentional?